As football boot enthusiasts, have you ever wondered why players wear certain boots and how much they get paid for wearing them? Sharp eyed football boot fans watching Liverpool’s against Aston Villa on Saturday, may have noticed Jermaine Pennant wearing Adidas Copa Mondial, when in pre-season he was wearing Nike’s Mercurial Vapor III. So Jermaine Pennant is choosing to wear Adidas, that’s some endorsement for Adidas. It’s also surprising that Pennant is not tied to a brand of football boot. If we consider Nike and Adidas, generally considered the two leading football boot brands, they know that players will wear their boots out of choice. 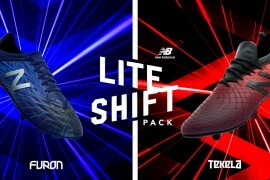 Therefore, while they are happy to provide free pairs of football boots to Premiership players, they may only have those players who are likely to add real value to the respective football boot brand, as contracted and paid brand endorsees. 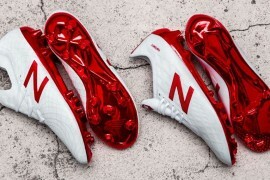 Our insight looks at two examples of players that football boot brands would offer endorsement contracts to: The rising Premiership youth academy player and England youth international player; and the established Premiership and England international player. Why contract an English academy player? He may be capped as an England youth, but there is no guarantee he will make it as a Premiership player, let alone a future England senior international. Well, football boot brands are no different to football clubs; they are all trying to find the next Michael Owen, Wayne Rooney or Theo Walcott. Contracting a youth player on a simple gift of kit deal will not make a huge dent in a football boot brands grassroots budget, and who knows he may possibly be the next rising star of English football. Youth players contracts may entitle them to £2,000 of free kit per season for themselves and their family or alternatively they may receive three kit drops per season, with the opportunity to top up on football boots if they run out. If they are very lucky or very good, they may even receive a small retainer around the figure of £1,000 per year and receive small bonuses for England youth appearances or goals. 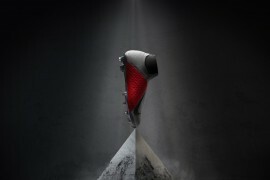 Lets say a top England international player is contracted for three years to endorse a leading football boot brand. Firstly he will receive a retainer – that is a guaranteed yearly payment, which increases year on year. In year one he may receive anything from £100,000 to £200,000 which may rise to £500,000 in year three. The player would also receive a bonus schedule, similar to what he may have written into his club contract. This may include payments for the following: international appearances, goals, clean sheets, progression in and winning of cup competitions, qualification for Europe, winning the Premiership, winning international tournaments and award bonuses. 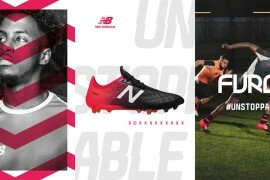 Finally the football boot brand may ensure that they have first option on tying the player to a new endorsement contract once his current contract has expired.